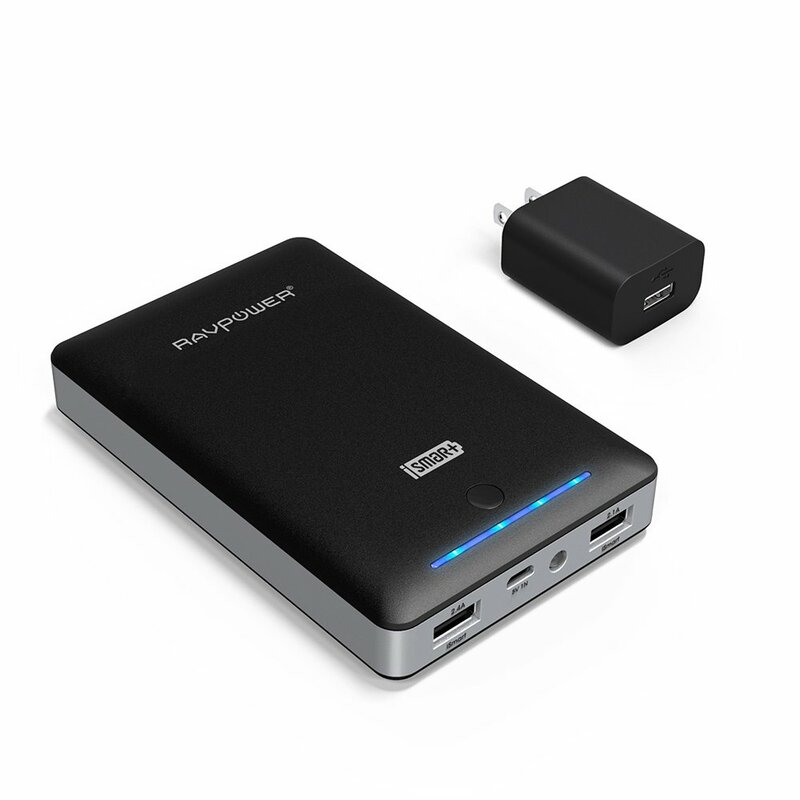 Home › Electronics › Portable Charger Ravpower 13000Mah External Battery Pack + 2A Wall Charger (I..
Portable Charger Ravpower 13000Mah External Battery Pack + 2A Wall Charger (I.. HUGE CAPACITY 13000mAh charges an iPhone 6 almost 5 times, a Galaxy S6 over 3 times or an iPad Air once. Safely recharges with a 2 amp or higher output charger (most phone chargers have only 1 amp). EXCLUSIVE ISMART TECHNOLOGY Charge faster and smarter than others, automatically detects and delivers the optimal charging current for any connected device- ensuring the fastest and most efficient charge. SAFETY PROTECTION Ultra reliable A+ Lithium-Ion battery with over 500 battery charge cycles; Security protection design: short-circuit and over-current protection. This battery pack will automatic shutdown if a short circuit or overload output occurred while unit is charging. Color: Black W/2A iSmart Charging Port: Compatibility maximized. Not all charging ports are created equal. Standard ports only communicateeffectively with particular devices, like Apple OR Android, often limitingtheir recharge rate. But with iSmart technology, each port intelligentlyidentifies your device to speak its unique charging language. So plug in anybrand or model and enjoy compatibility that doesn't limit your charging speed. Full Speed Charging Our 5V RAVPower battery charger has 2 USB ports (2.1A max and 2.4A max) toallow for multiple device charges. You can rapidly charge your two tablets atthe same time. Recharge to full capacity in 8 hour with RAVPower 2A USBcharging adapter included. Unique Design We always strive to keep our battery packs looking sleak and made from thehighest quality parts. Our RAVPower 13000mAh is offered with a black mattefinish that is fingerprint and light scratch proof. And, lastly, it has a fullfunctioning flashlight for those times when you are stumbling in the dark! Specification: Capacity: 13000mAh Input: DC 5V/2A (Standard Micro USB Port) USB A1:5V/2.4A max , USB A2:5V/2.1A max Note Please use the original 8Pin/30Pin Cable by Apple to charge Apple products. ACadapter is not included.